Craig Widdison will supply one runner in the form of Baby Zara to the Wodonga meeting on Monday, 11 September with overcast conditions currently forecast, racing on a soft (6). Of $20,000.00. 1st $11,000, 2nd $3,400, 3rd $1,600, 4th $900, 5th $600, 6th $500, 7th $500, 8th $500, 9th $500, 10th $500. The single stable runner will compete in the Lewis Homes Steelframe Home Builder BM64 handicap over 1300m with the runner to be partnered by Brooke Sweeney jumping from barrier (1). Last time out she raced at Wangaratta finishing seven of seven with Brooke Sweeney on board, arriving 17.15 lengths behind the winner after leading early before struggling in the concluding stages, beaten by Fastlane To Heaven. A capable runner with back to back wins prior to her last outing, who gets a chance here back in a more suitable race at BM64 value. 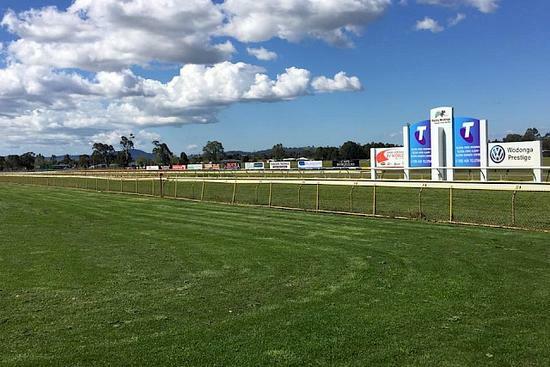 Good luck to all connected at Wodonga on Monday.